Did you know that the same drug that is used to smooth out facial wrinkles was first discovered by a Canadian Ophthalmologist? Prior to becoming so mainstream for its cosmetic use Botox wrinkle smoothing treatment was discovered through its medical use. At Skouras Eye & Cosmetic Centre Dr. Skouras brings over a decade of facial aesthetic experience treating patients who desire a refreshed appearance while delivering the most natural, subtle, yet effective results. Botox is typically used to treat the upper half of the face most commonly forehead lines, crow’s feet and frown lines. However, what you may not have known is that many people also use Botox as a preventative measure against future wrinkles. Derived from a purified protein, when injected, Botox works by relaxing the muscles that cause dynamic wrinkles. As a result, patients have a more refreshed appearance. The number one concern for most patients is that they will lose their facial expressions. When you are treated with Botox at Skouras Eye and Cosmetic Centre, Dr. Skouras’s experience as an eye surgeon and injecting technique will enhance your unique look without sacrificing the natural expressions in your face. Botox relaxes the muscles in your face from contracting, helping to slow the onset of new wrinkles. The entire procedure takes just a few minutes, with results lasting anywhere from three to four months. During this time, the muscle contraction will slowly return. To maintain your results it is recommended that you continue treating the area every three to four months. Botox is primarily used to treat dynamic wrinkles over static ones. Dynamic wrinkles are the ones that are most noticeable when your muscles are contracting. Static wrinkles are the ones that are still visible when your muscles are at rest. However, with continued use of Botox, static wrinkles can also improve over time. Many people also use Botox as a preventative measure. In one study of identical twins, one twin received Botox treatment regularly while the other received only one. The study found that the twin who received regular Botox treatment had visibly less wrinkles and appeared much younger. Botox limits muscle movement, which results in fewer wrinkles. As such, many people in their late twenties have Botox treatments as a preventive measure. 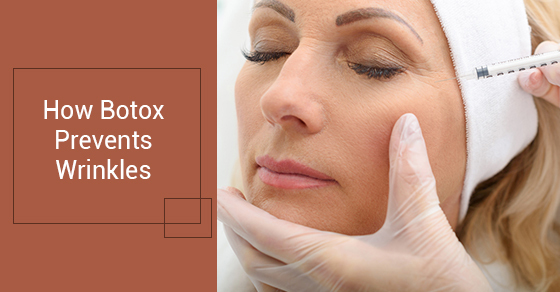 Many patients use Botox for other reasons as well, particularly if they are interested in subtly changing the contours of their face for a softer jawline. In this case, Botox works much the same way as detailed above – it relaxes the masseter muscles, which can result in a slimming effect. Botox that is carefully placed can also enhance the shape of your eyebrows, giving a beautiful higher arch. If you are interested in having Botox, consider Skouras Eye and Cosmetic Centre. We are a leading cosmetic treatments centre in Toronto. Contact us today for more information.